Spacecraft in orbit and on Mars's surface have made many exciting discoveries, transforming our understanding of the planet and unveiling clues to the formation of our Solar System, as well as helping us understand our home planet. The next step is to bring samples to Earth for detailed analysis in sophisticated laboratories where results can be verified independently and samples can be reanalysed as laboratory techniques continue to improve. A first mission, NASA's 2020 Mars Rover, is set to collect surface samples in pen-sized canisters as it explores the Red Planet. Up to 31 canisters will be filled and readied for a later pickup – geocaching gone interplanetary. In the same period, ESA's ExoMars rover, which is also set to land on Mars in 2021, will be drilling up to two meters below the surface to search for evidence of life. The statement signed today at the ILA Berlin air show by ESA's Director of Human and Robotic Exploration, David Parker, and NASA's Associate Administrator for the Science Mission Directorate, Thomas Zurbuchen, outlines the potential roles each space agency could fulfil and how they can offer mutual support. David says: "A Mars sample return mission is a tantalising but achievable vision that lies at the intersection of many good reasons to explore space. 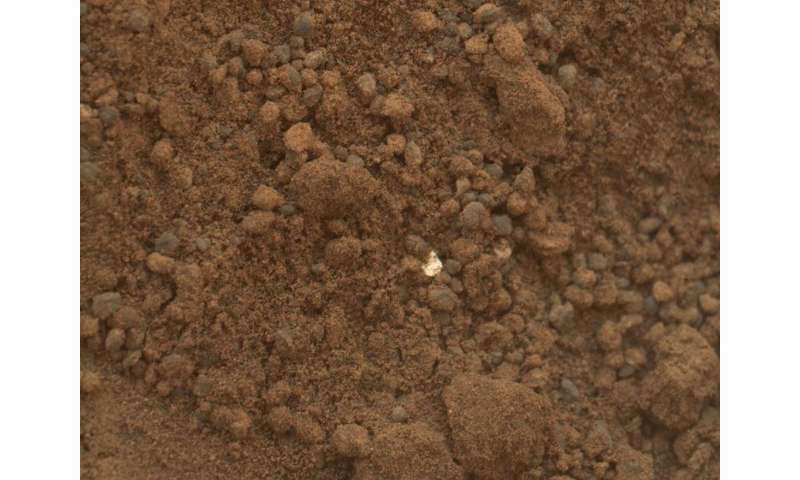 "There is no question that for a planetary scientist, the chance to bring pristine, carefully chosen samples of the Red Planet back to Earth for examination using the best facilities is a mouth-watering prospect. Reconstructing the history of Mars and answering questions of its past are only two areas of discovery that will be dramatically advanced by such a mission. "The challenges of going to Mars and back demand that they are addressed by an international and commercial partnership – the best of the best. At ESA, with our 22 member states and further cooperating partners, international cooperation is part of our DNA." "Previous Mars missions revealed ancient streambeds and the right chemistry that could have supported microbial life on the Red Planet," said Thomas, "a sample would provide a critical leap forward in our understanding of Mars's potential to harbour life. "I look forward to connecting and collaborating with international and commercial partners on tackling the exciting technological challenges ahead—that would allow us to bring home a sample of Mars." The results of the mission studies will be presented at ESA's council at ministerial level in 2019 for a decision to continue developing these missions. ESA's ExoMars orbiter is already circling Mars to investigate its atmosphere. 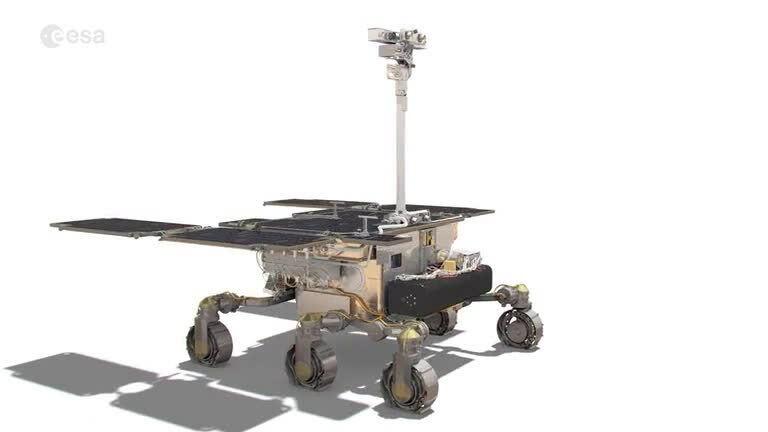 This week it transmitted data from NASA's Curiosity rover to Earth, proving its worth as a relay satellite as well. This collaboration demonstrates good cooperation with NASA and provides an essential communications infrastructure around the Red Planet. Maybe bring the soil to the ISS, first? That would be very problematic as far as mission design goes. You'd need to do a hard aerocapture, multiple aerobrakes or a costly transfer-orbit ending burn, all of which would require additional propellant on top of the surprisingly high amount needed to make a successful rendezvous with the Station after getting into Earth orbit (making a direct rendezvous would be difficult and risk a rather high speed impact if things go wrong!). A near-future, unmanned sample return vehicle is invariably going to deal with a very tight mass allowance (as historic examples have), and the increases in propellant and mission hardware needed for your proposed profile would make those mission constraints increasingly worse without making a much larger return vehicle and the entire mission a lot more expensive.